Sev Ohanian and Natalie Qasabian. Searching tells the story of David Kim and his search for his missing daughter, Margot, all through a computer screen. It’s a nerve-shredding thriller that takes every twist and turn. (You can see my review here) The films co-producers, Sev Ohanian and Natalie Qasabian, were kind enough to answer some of my questions- and they did so fantastically, offering in-depth stories of the process and challenges they faced, including getting the star they wanted, keeping the momentum, and consistently surprising their audience. Firstly, how do you approach writing a screenplay for a film that is entirely on a computer screen, and, for Natalie, what was it like to read for the first time? Sev Ohanian: Writing any screenplay is tough. But the big challenge for my writing partner Aneesh Chaganty and myself was that… there really is no precedent for the kind of movie we wanted to make. Searching is a thriller in which a father is looking for his missing daughter, by going through her laptop. And since the conceit is that the film takes place entirely on the various devices he uses to track her down, it meant that we couldn’t really resort to the traditional format all other movies use in writing the script. We wrote the movie over several months, and we devoted the entirety of our first week to simply figuring out how we were going to make the script look. We came up with our own set of rules of how we would portray various browsers as scene slug lines [a master scene heading], and how text conversations would not represent traditional dialogue in Final Draft formatted screenplays – even down to what would necessitate a new scene beginning. Technical logistics aside, our philosophical approach to writing the screenplay was very simple: to write the story as if it was live action, and then adapt it into one that takes place on devices. Every scene and every sequence in our story had to work both on a practical level on computers, but also on a thematic level as if it were a David Fincher movie with actors performing on a set. David using Google Spreadsheets to track all the various clues he gathers is no different than a detective posting notes on a board and stringing them together. David interrogating his daughters’ friends on Facebook and FaceTime is the same as a desperate father knocking on doors all through his neighbourhood. 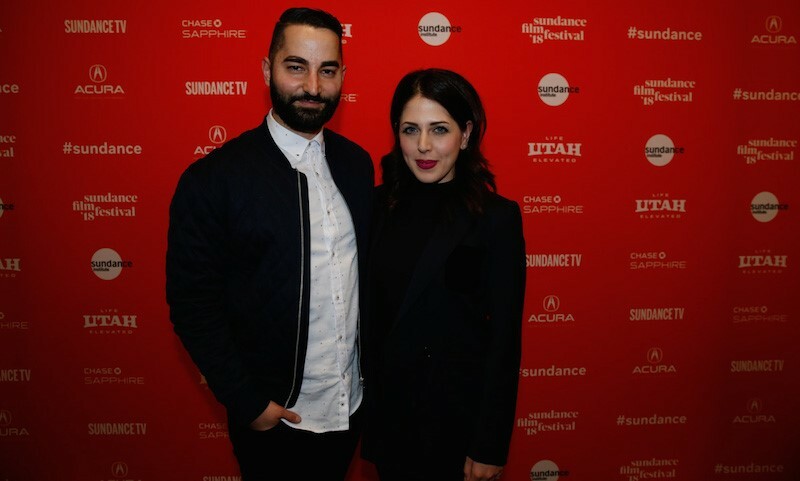 Natalie Qasabian: Reading the scriptment for Searching for the first time was an intensely unique experience because not only did the story absolutely deliver, but Aneesh and Sev found a way to write it in a unique format that I had never seen before, mirroring what the final product would become. After reading it though, my producer brain immediately went “Wait, how do we use this document – which is not in traditional screenplay form – when it comes to actually making the film?” The problem was that production crew members would not be able to interpret the scriptment properly to do their jobs. So, I asked Aneesh and Sev (very nicely) to take the scriptment and translate it into a traditional Final Draft form which would make it more easily accessible for everyone to use on set. What inspired the story from the get-go? Was making a film on screens always the plan, or did it evolve into that from something else? Sev: Aneesh and I met at USC Film School and we’ve been partners ever since. He directs, I produce, and we write and develop together. A few years ago, we made this great 2-minute spot shot entirely on the Google Glasses, which completely blew up and went viral. It landed us a lot of great press, and most importantly it led to Google hiring Aneesh to write and direct their commercials for 2 years in NYC. Meanwhile, I was in LA producing indie feature films and I had a general meeting with Timur Bekmambetov’s production company Bazelevs. They had just released Unfriended which also takes place entirely on a computer screen, and it had done very good business theatrically. They were eager to make more projects like that, and invited me to pitch a short film that would take place on a screen. I recruited Aneesh, and together we came up with the idea for Searching… but as an 8-minute short film. Once we submitted our pitch to them, they called us into their offices to discuss. The bad news: they didn’t want to make a short film anymore. The good news: they wanted to make our concept into a full-length feature film. The crazy news: they wanted to pay to have Aneesh direct, me produce, and for both of us to write it together. My heart skipped a beat and I remember kicking him under the table. It was insanity that anyone would offer a first-time filmmaker money to make a feature, and it was even more insanity that the director would turn it down. But at the same time, I understood Aneesh’s hesitation. We both wanted to make films together that would engage audiences, and most importantly move them emotionally. We were doubtful we could achieve that with a film that took place via various digital interfaces, software and apps. Regardless, I told them we’d think about it. A few weeks later, we both challenged ourselves to come up with an approach to the film that could work and achieve all the things we wanted. And one day we called each other to pitch the same exact opening sequence… and we knew we could make this film. Our opening would be one that would make audiences invested in our characters, thrill and move them emotionally, and (if we did our jobs right): make them forget that what they were watching was taking place on all these devices… because they’d be sucked into the story. So ultimately, we feel that our complete resistance to this idea in the first place is what made us inspired to tackle the concept in a way that ideally elevates the story past the central conceit. So far it feels like audiences have responded to it… so hopefully we did a good job! The film somehow never loses momentum, there are at least three moments where you think the search is over, or that you’ve figured it out, only for something new to come to light and shake it all up. What challenges did you face, in the unique format, to keep the pace in the narrative? Sev: Oh man I love hearing you saying that! We really worked our butts off to make sure the film never lost a sense of momentum, and that right as a particular sequence would start to feel like it would be overstaying its welcome, the story would completely change to something entirely new. And that’s a goal you would have with any project for sure, but doubly so in our case when you’re working with a specific conceit. By design, we structured the film so that the scale gets bigger as you watch. After the intro, we’re pretty much only seeing just conversations between David, his daughter Margot, and his brother Peter. Hopefully just as that’s starting to feel stagnant, the actual investigation begins, and we add in Detective Vick (Debra Messing) and all the “friends” David starts to interrogate. And just as audiences start getting used to that, we have our big reveal in which the media gets involved and the search explodes. Then even more stuff happens that I won’t get into for the sake of spoilers. The idea was that as David’s own life gets crazier, and the story gets crazier, the presentation of these elements in the movie reflects that. And this was something that we were focused on well beyond the writing phase. It was at the forefront of our minds in production and especially post production. The film seems to painstakingly remind its audience that we never really know people like we think we do, even those closest to us. David doesn’t even know if Margot has friends and has to get into her accounts to find names, what did you want viewers to take from that aspect? Have audiences received the messages of the film how you hoped they might? Natalie: Absolutely, one of the key themes in the story is this idea that we are what we hide: it’s what people don’t reveal to each other, even to the closest people around us that can be the most telling. For David, the biggest realisation he has on this journey to find his daughter is that he didn’t actually lose her days ago, but that he had lost her long before she physically disappeared. Despite the fact that they were talking over text, via Facetime, etc., they weren’t truly connecting. Yet at the same time David has to turn to those same tools to help him find clues to where she could be. For us – as storytellers – it was important to show technology in an unbiased light. Yes, tech can be used incorrectly and lead to bad, but tech does so much good and we rarely see that portrayed in narratives. We tend to hear how bad tech is for our health and how we’re all addicted to social media but in Searching we tried to portray it in a more holistic way. Depending on where people are in their own lives, if they’re parents or if they’re teens themselves, they tend to walk away with different messages, which has been really interesting to see. 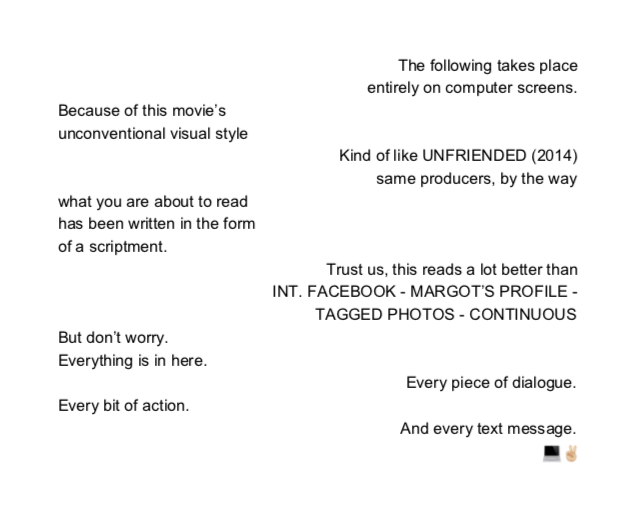 Inevitably, I’d imagine Searching is going to get compared to previous screen-based film Unfriended. However, in spite of the format, these films seem worlds apart for me. The latter being a jump-scare filled horror, and the former a thriller/drama that sprawls a myriad of ideas; from grief, to parenthood, and what we hide from those we love. Had you seen Unfriended before you began work on Searching. If so, did you take any inspiration from it? Sev: We saw Unfriended around the time we were developing our pitch for Searching. We were impressed by it, but it was not something we wanted to emulate necessarily. And there are actually a number of other movies that take place on screens. In fact, during the weeks of Aneesh and I writing the script, we came up with a plan every day in which, during our 30-minute lunch break, we would watch a segment of a film or TV show to inspire us. We split the films in two groups: movies that thematically and tonally were guiding lights like Gone Girl, Gone Baby Gone, Mystic River, etc. Then the other group were all the other pieces of media that had taken place on screens. There’s a film called The Den, Open Windows, a great Modern Family episode, a BBC TV movie starring Maisie Williams [Cyberbully], and many more. Aneesh and I would use the lunch break to watch 20 minutes from any of those projects, and then discuss what worked and what didn’t. I think Unfriended is the one that got it the most right, undoubtedly. And huge credit to that film and the others for being novel in trying this brand-new approach to storytelling. But, with all due respect, we felt like all of these films didn’t go far enough. It reminded me of the earliest days of filmmaking when movies were just short films in which the camera was placed stationary and actors would perform in front of it. With our film, we didn’t want to forgo having dolly shots, close ups, zooms, montages and every other form of cinematography just because of our creative limitations. Our goal with Searching was to utilize the past 100 years of cinematic techniques and apply it to arguably the least cinematic devices imaginable… and hopefully create something epic. 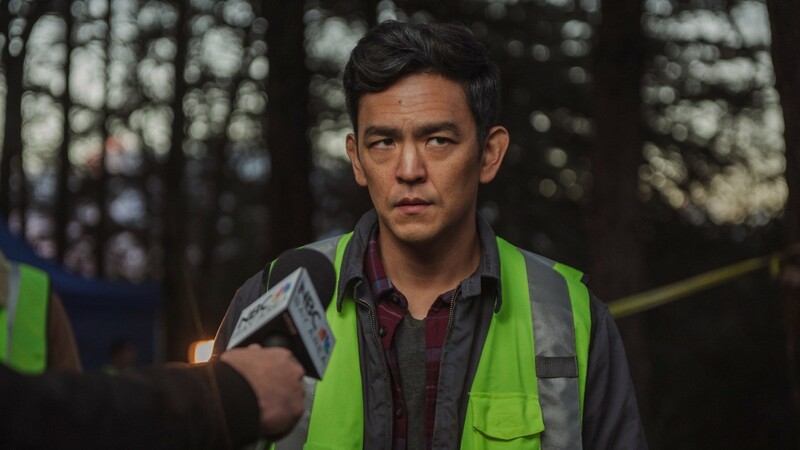 John Cho gave a captivating performance as a father in turmoil; he’s a favourite of mine in J.J Abram’s Star Trek franchise, and I’m impatiently awaiting a UK release of Columbus! Did you have a star in mind when writing, if not how did he come to join the project? Natalie: Aneesh and Sev actually wrote the script with John Cho in mind! The very first draft of the script always had the last name Kim, and it was always going to be a Korean American family. We all think John is incredible and are such fans first and foremost, so it was genuinely a dream for us when he said yes… but first he actually said no. The process for casting John was traditional in the sense that we made an offer through his reps, he had a quick chat with Aneesh on the phone, but he turned the project down at first. Aneesh felt like he wanted one more shot with John and wanted to speak to him in person, because there really was nothing like our film that existed, no comp had the same style and cinematic quality that we were going for. Then Aneesh realized that when he spoke with John, an assistant or agent hadn’t connected them, but that Aneesh literally had John’s cell number sitting in his phone. So Aneesh texted John directly (a move I don’t recommend but in our case, hey it worked!) and they met for a drink. He gave John – what he considers to this day – the best pitch he’s ever given in his life, and a few days later we got a call from John’s team saying he was in! P.S Columbus is incredible, the three of us went out and saw it at the world premiere at Sundance in 2017 and were so so moved by it. Really beautiful film! Huge congratulations to the team on winning three awards at Sundance earlier this year, what did you learn from the festival circuit and initial audience reactions? Was this your first Sundance experience? Sev: Thank you! I have actually been super lucky to have had a few other films at Sundance over the past few years as a producer. My first movie was Fruitvale Station for which I was co-producer, and Searching probably felt closest to that experience in terms of the impact the film had at the festival. Natalie: Thank you so much! I had also been to Sundance a couple of times before: once with a short that I produced, Join the Club, and before that as an assistant to a producer. Sev: Going into Park City, we knew we had a great film. Mostly because Natalie and I do very very strict feedback testing on our projects, and the results were promising. But you just never know how a movie will do when actual live audiences see it. The fact that we sold the film and picked up a few awards were all secondary to the fact that we could not have had a better premiere. We learned that even when you do something as crazy as this film, if you ground it in an emotional story with characters audiences can care about… it has the potential to really find fans. Director Aneesh Chaganty with producers, Natalie and Sev. 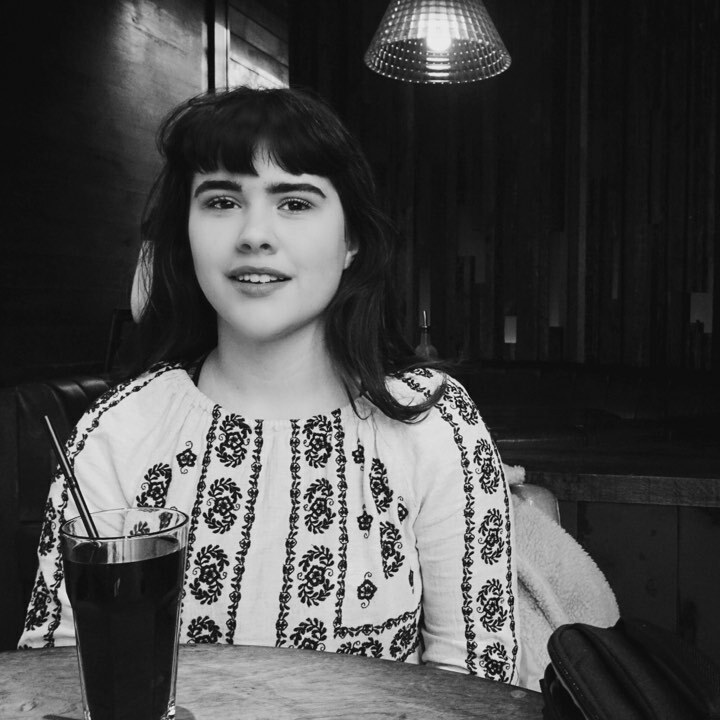 For Natalie specifically, Screen Queens aims to shed a light on women in front of and behind the camera in all aspects of filmmaking. What can you tell us about your experiences as a woman in film production? And is there anything you’d like to share with young girls who aspire to one day follow your path? Natalie: I honestly consider myself very lucky because I’ve always been surrounded by female filmmakers, executives, and crew members. Especially on my first few jobs, there were examples of strong women working around me that made me think, I can totally be that one day. And so, for me, it’s always been less about having to fight for the opportunity, and more about proving my worth once I have a seat at the table so to speak. I don’t have any crazy stories about outright sexism, but what I have experienced are the small micro aggressions – for example little things like executives or financiers making less eye contact with me than my male colleagues or producing partners. Those actions are just as dangerous as not giving a woman an opportunity in the first place, because if we’re at the table but can’t get a word in edgewise, we haven’t gone far enough. And for any young girls who want to be filmmakers, just get out there and do it – if anyone tells you otherwise just think about how gratifying it will be to prove them wrong. We all have stories to tell and no one can tell you that yours is not important. Lastly, after the UK release later this year, what’s next for you all – I’ve seen you have something new in pre-production, can you tell us anything about that yet? SEARCHING is in cinemas worldwide from August 23rd.